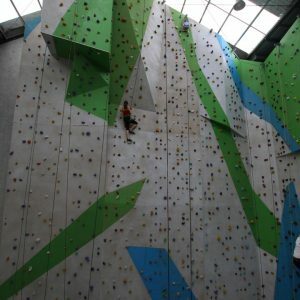 Gravity Worx is a new indoor rockclimbing gym opening in mid December in Coburg. The VCC have been kindly given the opportunity to run a pre-opening, members-only VCC Club trip to the gym. Come along and check out Melbourne’s newish gym. This trip is only available to current VCC members. Please bring your current VCC Membership Card along on the night. If you’ve yet to receive your new membership card, please print off your membership receipt. Non-members will need to join the VCC prior to this night. The cost of the night is a token $5:00 (Cash only at this stage). So, just turn up on the night, pay your money, read and sign the waiver form* and do a belay check. Then get climbing! The full gym will not yet be available for climbing, but there will be walls aplenty for everyone to enjoy. *It is recommended that you go to their webpage prior to the night to complete the waiver online. It will save time on entry and paper on the night. You can even sign the waiver digitally. NOTE: As this trip is at a commercial business, there will be no need to sign the official VCC Trip Register on the night.